What do you envision when you think of California? Shimmering oceans, warm beaches, and a stunning coastline? 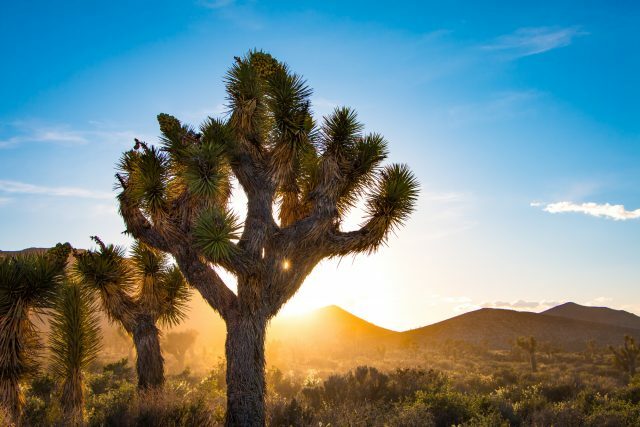 Perhaps towering redwoods or sparse deserts filled with Joshua trees? You wouldn’t be wrong to think of any of these things, but what if I told you that this beautiful state is filled with so much more? 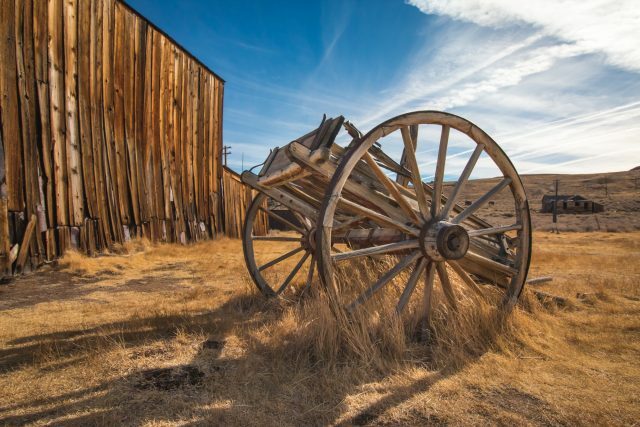 Within its border, you’ll find cascading sand dunes stretching far into the distance, shimmering lakes with depths of over 1,000 feet, and abandoned ghost towns backed by craggy mountain peaks. It’s an adventurer’s dreamland and far more accessible than many people realize. 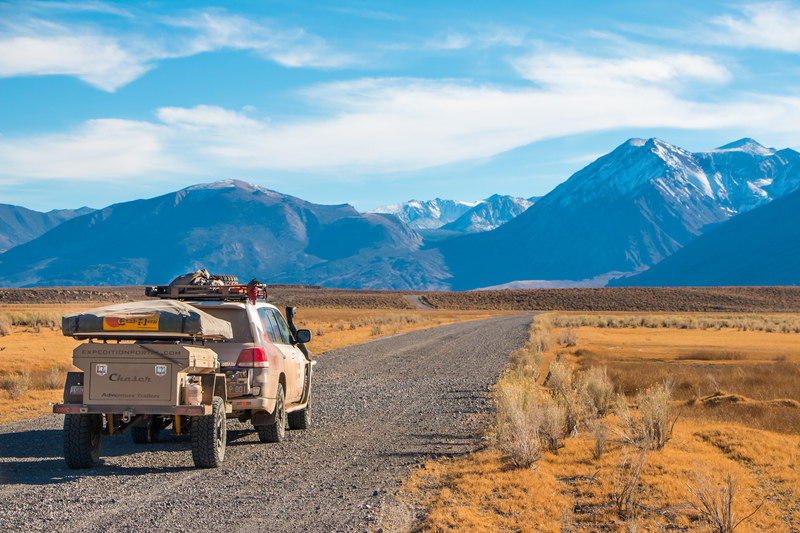 From the northern reaches of the state near Mount Shasta to its southern border with Mexico, we have charted a course through some of the Golden State’s most scenic territories and it is almost entirely on dirt. 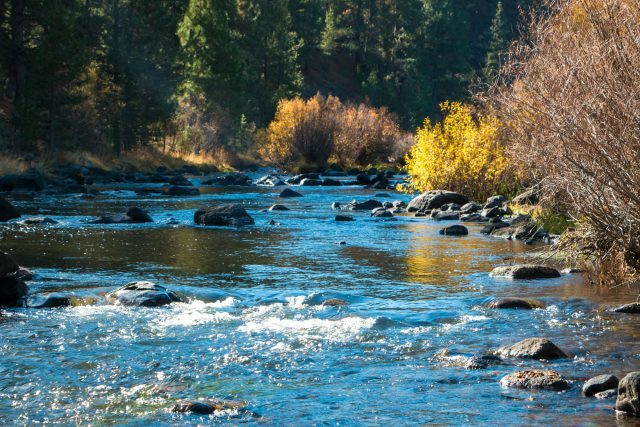 California is one of the most geologically and ecologically diverse regions in the world. It is also the most populous state in the US by a large margin, with 39.5 million residents. That’s more than the entire country of Canada. Yet despite this population density, residents have managed to retain access to their natural treasures. The state is home to nine national parks, 19 national forests, and 118 state parks, not to mention countless other preserves and recreation areas under various labels. All of these wonderful places are set aside to protect the region’s landscapes for future generations, including some rather unique features. For example, the world’s tallest tree resides in Northern California, a coast redwood named Hyperion which stands at a neck-craning 379 feet. There’s also Lake Tahoe, North America’s largest alpine lake and the United States’ sixth-largest lake by volume, losing only to the Great Lakes. The lowest dry land in North America can be found here as well. Within the border of Death Valley is Badwater Basin, a dry lake resting at an elevation of 282 feet below sea level. Regardless of what you seek, there’s a good chance you’ll find it in California. 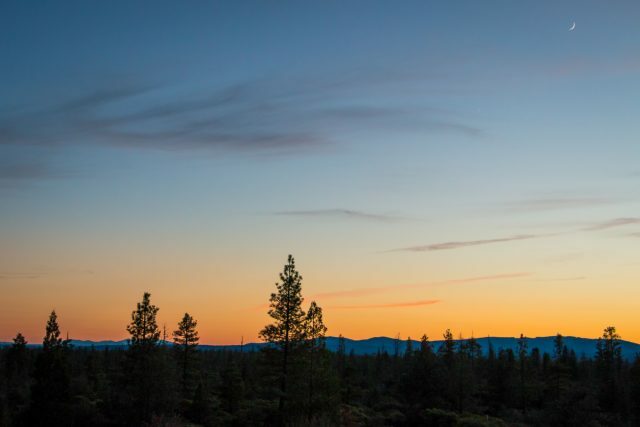 Our journey begins just south of Klamath Falls, Oregon, where Mount Shasta can be seen rising in the distance. 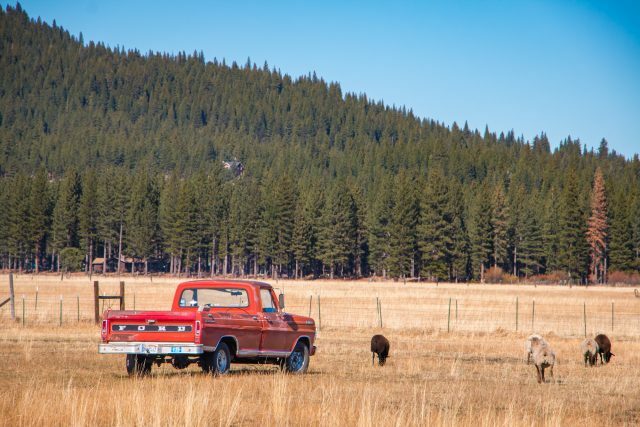 Here you’ll be surrounded by an open expanse of plains and grasslands, but the road soon begins to gain elevation, and before long, a dense blanket of foliage will engulf you. 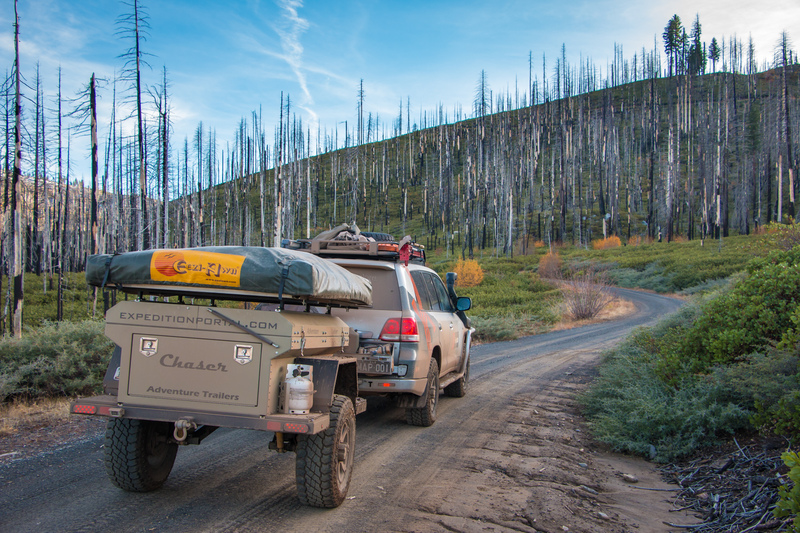 Those traveling in the summer will find solace in this section’s cooler temperatures and shady camp spots, but in late fall, early spring, or winter, expect deep snow and downed trees. As you continue further south, things start to become more interesting. 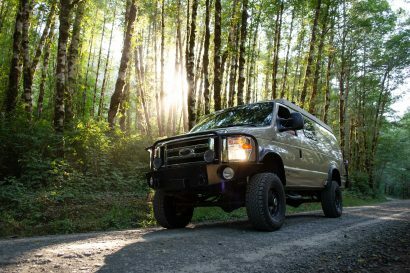 The road will suddenly burst from the forest to reveal a mountain vista or curling creek, and then dive back into the woods beneath thick layers of moss and leaves. Drivers will find themselves cruising through regions scarred by wildfires and experiencing the beauty and devastation that results. Many of the roads through this area are rarely used, and some of the bridges are barely wide enough to drive across, so proceed with care. After nearly 350 miles of this terrain, small red barns and country homes will begin to appear among the surroundings. 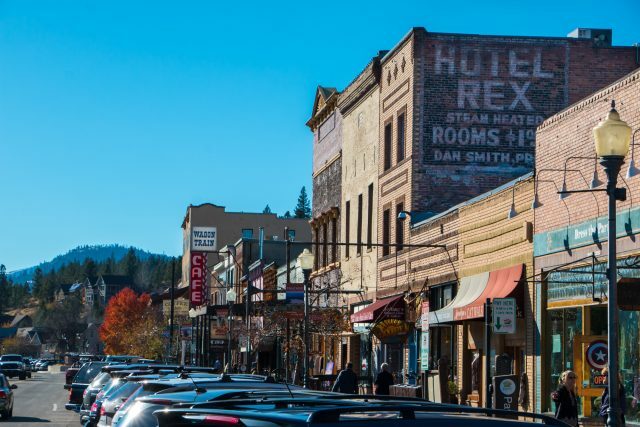 Old pickups and charming buildings crop up on either side, and you’ll quickly find yourself on the outskirts of Truckee. 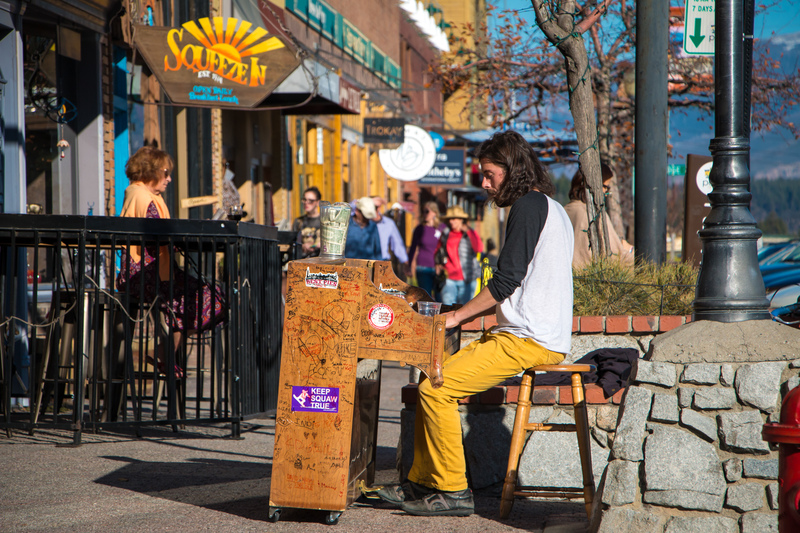 This town of 16,000 is as fun as it is funky, and filled with interesting culture and even better people. 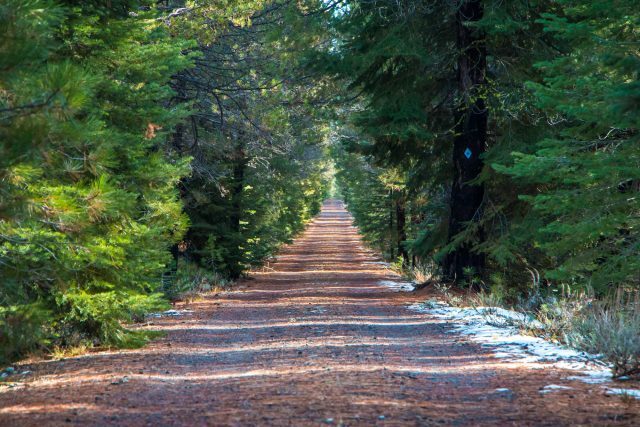 Truckee also marks the beginning of the longest paved section of the route, the tour of Lake Tahoe. 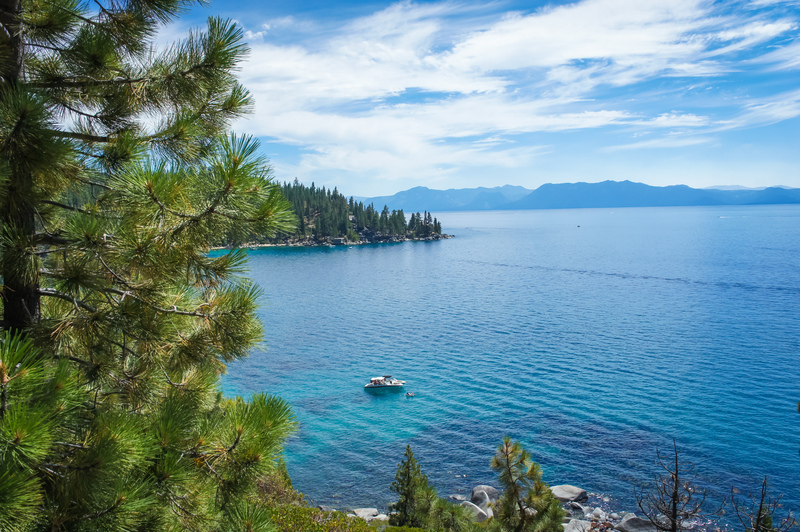 Although Tahoe is a well-developed area, the lake itself is still an amazing sight. Its deep blue waters, which are actually caused by an absence of algae and not the lake’s clarity, draws people from all over the world; many of the sandy beaches and rocky shores are the perfect settings for a chilly summer dip. 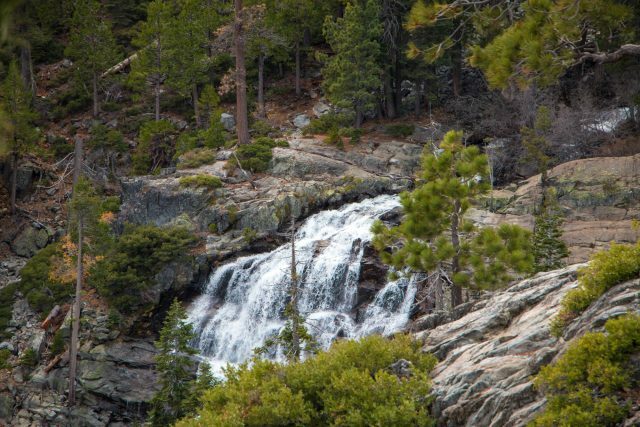 Be sure to make a stop at Emerald Bay State Park, which boasts panoramic views of the lake, Fannette Island, Vikingsholm Mansion, and Eagle Falls. 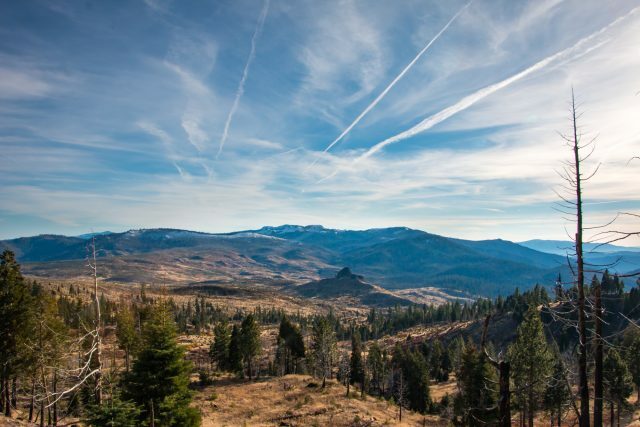 As you descend from Lake Tahoe toward Carson City, Nevada, the scenery shifts from large swaths of trees and green hillsides to the rugged mountains of the high desert. The dirt roads here are dusty, and wind down into the shadow of the Sierra Nevada. You’ll see little traffic in this region, and as you stare off into the empty wilderness, dust swirling behind you, it’s easy to become lost in the strands of time. You might picture wagons of rubble being carried up from the mines or prospectors panning for gold down in the creeks. 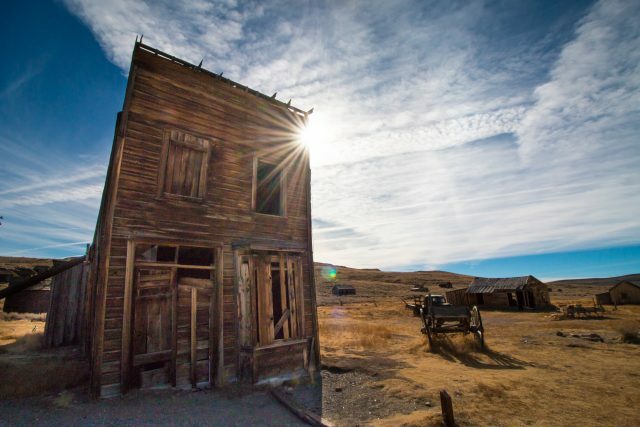 After all, this was gold rush territory, and the ghost town of Bodie is there to remind you. Hauntingly empty, but somehow entrancing, it draws you in and transports you back to a simpler, but much harder time to live. 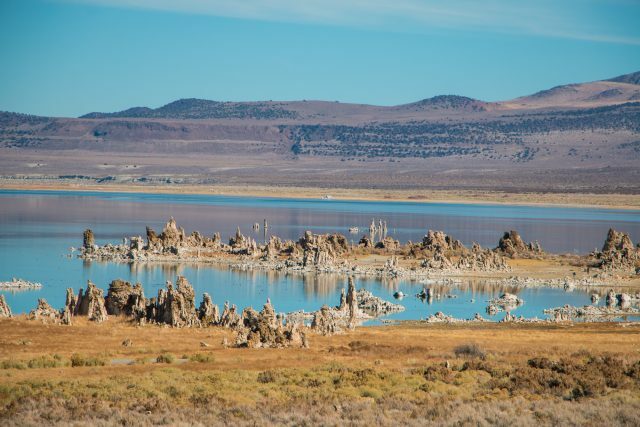 Past the creaking boards and dirty window panes of Bodie, the route leads past the salt-crusted shores of Mono Lake and down some of the most beautiful backroads we’ve ever seen. It’s an easy drive, so take the time to rest and enjoy the view. You’ll need your concentration for the next piece of the trail, just outside Bishop, California. A small sign reads Four-Wheel Drive Recommended on Silver Canyon Road. 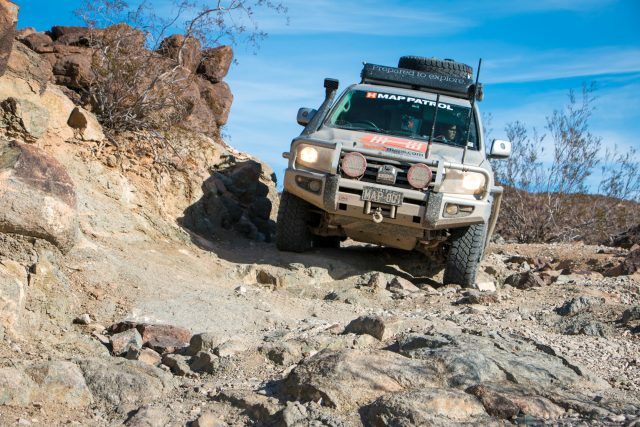 What it fails to mention is the tire spinning, low-range testing, white-knuckle-inducing ascent that lies ahead. 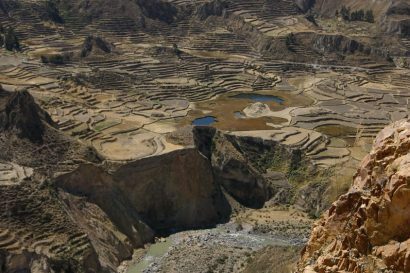 While not necessarily technical in nature, the climb is hair-raisingly narrow, the surface is loose, and the hill is so steep that low-range and first gear were barely enough to achieve the summit. But the view from the top is out of this world. 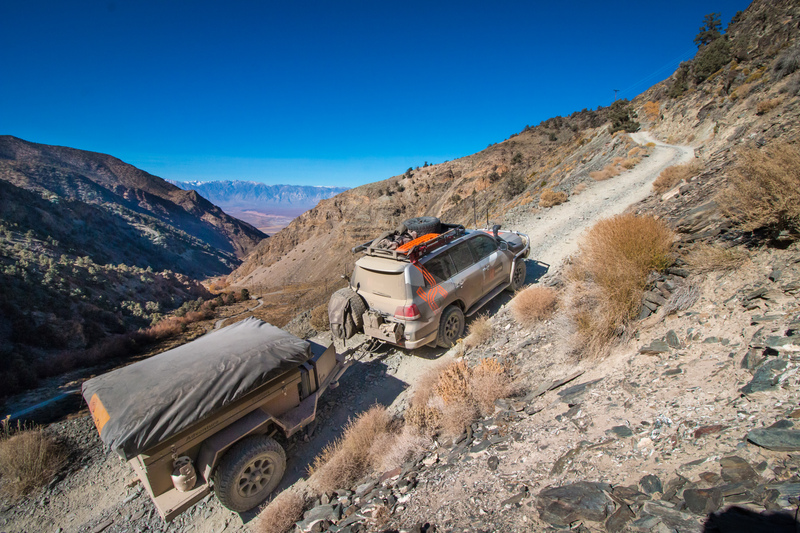 After winding its way down the Black Mountains, the trail leads through some of the best sections of Death Valley before connecting with the Mojave Road. 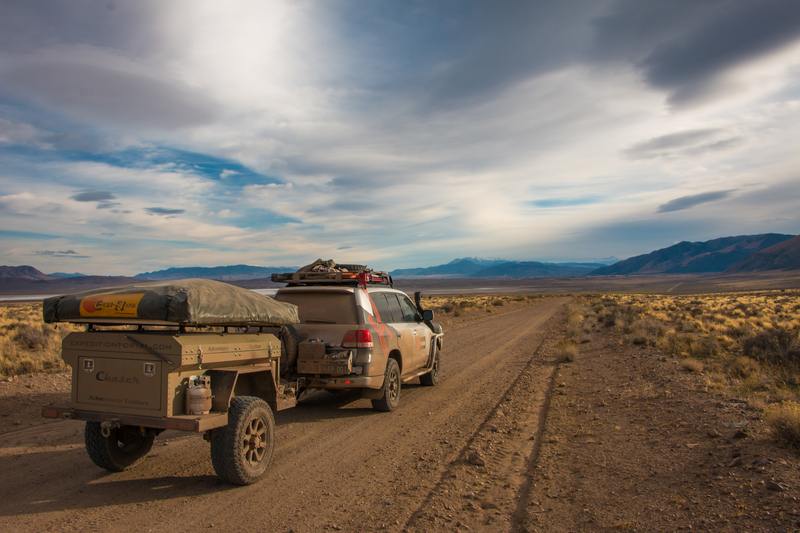 Both of these are favorites among our team, but we will skip the details since each has been covered previously in Overland Routes (Death Valley/Winter 2016, Mojave Road/Winter 2015). Not long after passing through the Mojave, you’ll arrive on the barren shores of the Salton Sea. This enormous lake was accidentally filled in 1905 when an irrigation canal burst and the Colorado River was allowed to flow into the basin. 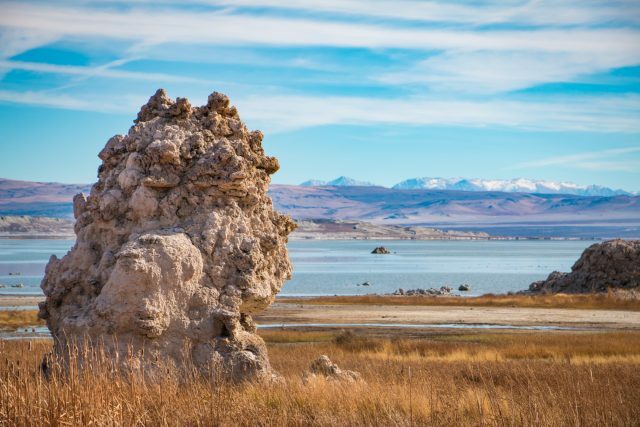 It became a tourist hotspot for decades, but eventually, the rising salt levels and pollution due to agricultural runoff killed most of the fish and made the water unsuitable for swimming. Today, the lake is largely abandoned, and the scene evokes a strange blend of wonder, disgust, and curiosity. The decrepit buildings and rotting yacht clubs are like something out of a dystopian future, and the acrid smell of the water will assault you on a hot day. Yet, this abandoned paradise offers a unique look at days gone by. Take for example the tiny nearby town of Amboy, where you’ll find a joint called Roy’s. 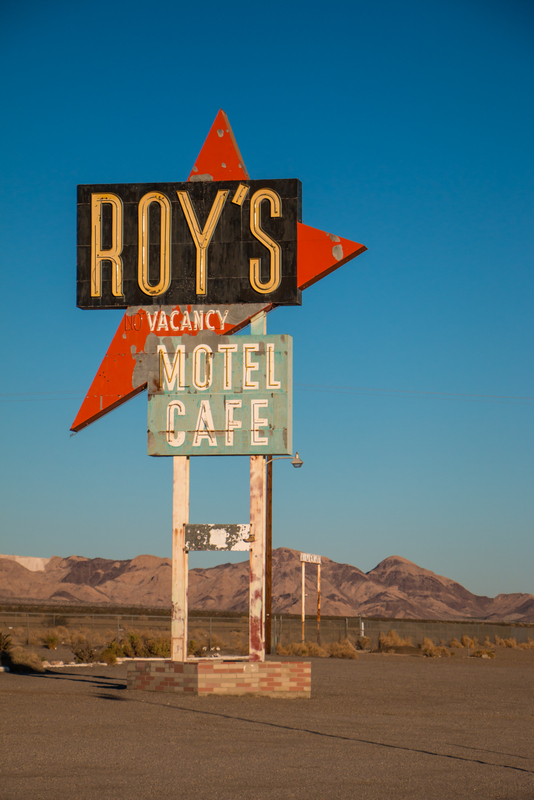 It was a motel, café, gas station, auto repair shop, and a classic stop along Route 66. Sadly, the thriving business decayed after the Mother Road was bypassed by the new highway, but recent efforts have seen at least part of Amboy restored. The fuel station is currently open with gasoline and snacks, and the owner plans to restore the hotel to be opened as a museum in the near future. When you drive by, we highly recommend making a stop. 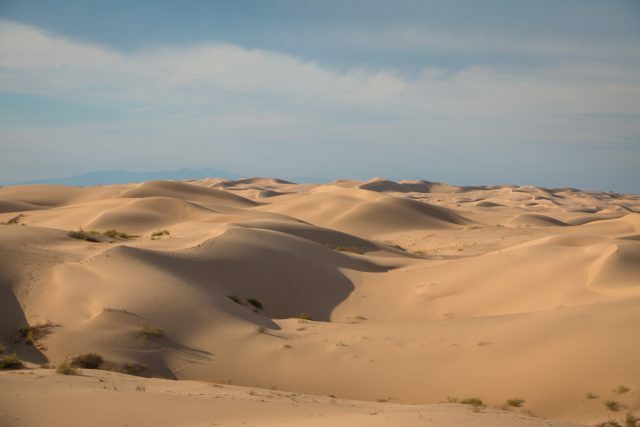 The final stretch of the Pacific Crest Overland Route (PCOR) spans the Algodones Dunes, sometimes called the Glamis Dunes. These stunning mountains of sand soar upwards of 300 feet into the air and stretch more than 40 miles into Mexico. There are countless routes through and around them, but with a heavy Land Cruiser and trailer, we opted to follow the outskirts. 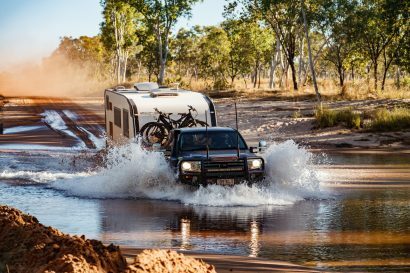 Those with lighter vehicles may feel confident plotting a more enjoyable and scenic route through the soft sands in the middle. Once you reach the other side, the border awaits, marking the conclusion of your trip—or maybe not. You might just decide to grab your passport, keep your nose pointed south, and see where the road leads you. NORTH ENTRANCE From Dorris, California, at 41°58′00.5″N, 121°55′05.8″W, proceed 1.5 miles north on Highway 97 to Sheepy Creek Road, then turn right. Proceed on route. SOUTH ENTRANCE From Interstate 8, take the exit for Evan Hewes Highway at 32°42′35.1″N, 114°57′26.3″W. Drive to the north side of Interstate 8, and proceed on route. 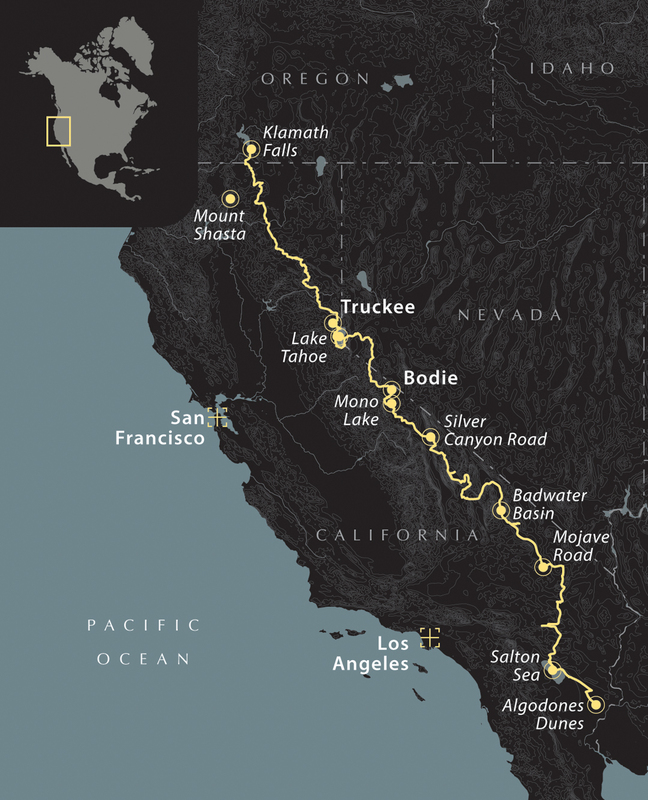 LONGEST DISTANCE WITHOUT FUEL 274 miles on the route, a short diversion from the trail to Bishop, California, is recommended to reduce the distance without fuel. 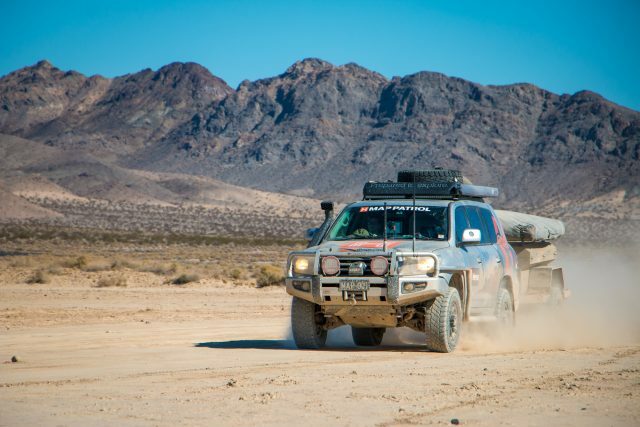 Most of the California portion of the PCOR is easy, however, the desert washes can become very tight and technical depending on conditions and there are some dangerous hill climbs. 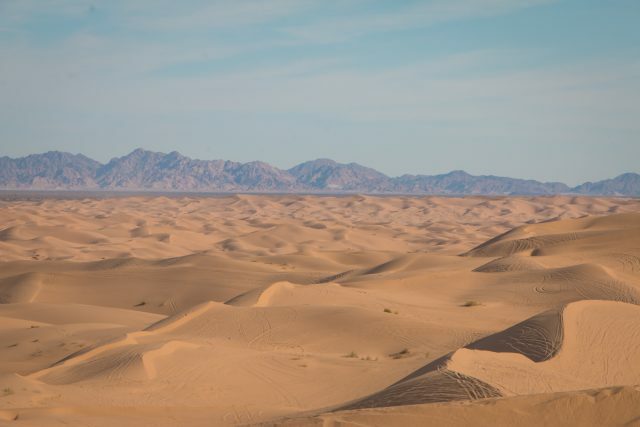 The sand in the Algodones Dunes is soft and deep, and drivers should be prepared with proper recovery equipment. It should also be noted that snow is possible at higher elevations, so be sure to check road conditions before the trip. Overall, the California portion of the PCOR should be considered moderate. Fall is the best time to drive this trail. 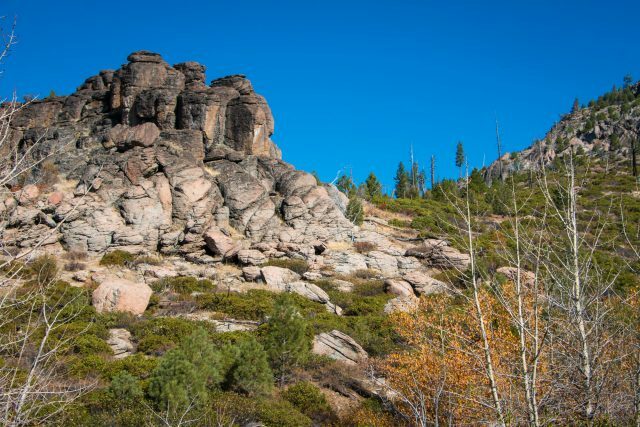 The California PCOR covers many different elevations and conditions, and fall offers the best balance of climates in the deserts and mountains. Spring is also appropriate, as long as the snow has melted from the northern roads. 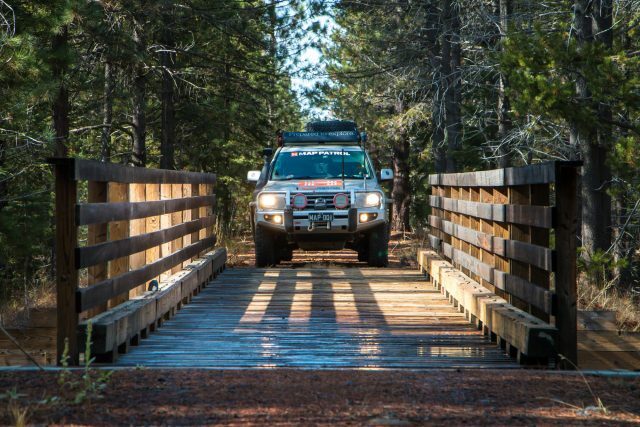 The PCOR traverses public roads and trails, and no fees are required for those portions. 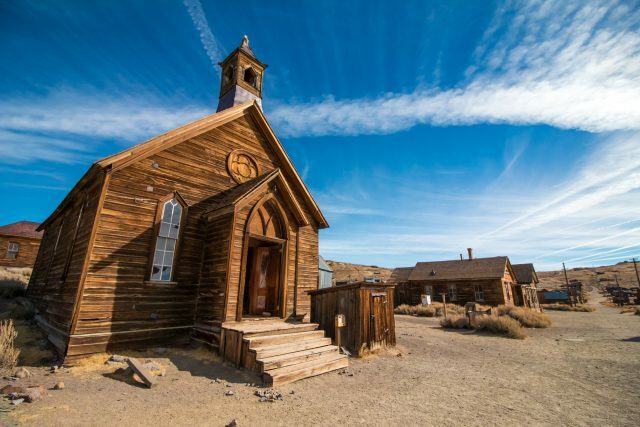 However, travelers passing through Death Valley should purchase an entrance pass, and those visiting Bodie will need to pay a cash fee to help preserve the site. 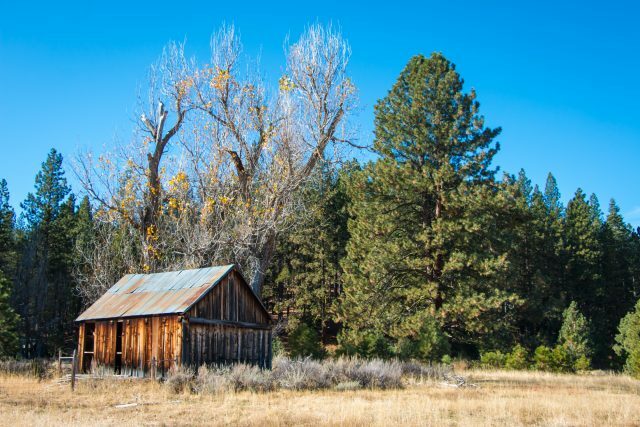 There are simply too many dispersed and maintained campsites spread across the state of California for us to just pick a handful, so instead, we suggest finding your own established sites along the way. Be sure to only stop at existing sites, and leave the area cleaner than you found it. We recommend the Benchmark Maps California Atlas and National Geographic paper maps of individual regions like Death Valley. Our route samples only a small portion of this state’s offerings, so these tools will help tailor the trip to your interests. As always, our team’s GPS track and points of interest are available through the Hema Explorer Cloud, and the links can be found on our website at overlandjournal.com/overland-routes.